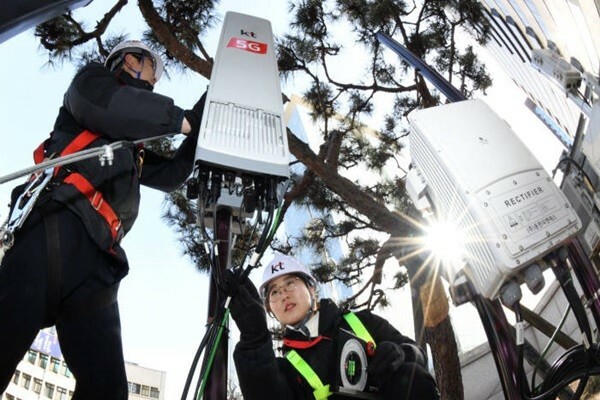 Tax deduction related to investments in establishing 5G network is expected to cover entire equipment when it only covered base station equipment in the past. Ministry of Economy and Finance (MOEF) sent a mediation plan based on such information to Ministry of Science and ICT (MSIT) and telecommunication companies. This mediation plan expands tax deduction to extra equipment that is necessary to establish 5G network. As a result, major equipment such as exchange, power system, control system, and current-related equipment as well as base station equipment will be subjected to tax deduction. Just like base station equipment, these equipment will be applied with up to 3% tax deduction. It is expected that amount of tax deduction will increase from $43.2 million (48.4 billion KRW) to $58.8 million (65.8 billion KRW). However, tax deduction is only applied to equipment used for 5G network and not LTE or 3G network. MOEF announced that its mediation plan partially accommodates opinions from MSIT and telecommunication companies. After MOEF announced a revision of an enforcement ordinance on the 7th, MSIT suggested its opinion to MOEF that extra cost from extra equipment and construction cost should be applied with tax deduction. Telecommunication companies also expressed their opinions that construction cost should be applied with tax deduction. MOEF confirmed an entire list of equipment necessary for establishing 5G network and reexamined its revised plan. It was trying to figure out which areas play important roles when it comes to establishing 5G network. “MOEF tried its best to apply opinions from MSIT and telecommunication companies rather than setting a boundary for tax deduction.” said a representative for MOEF. Equipment that is under tax deduction is essential for establishing 5G network. Exchange equipment provides a line exchange service by playing a mediator role between PSTN (Public Switched Telephone Network) and mobile network.